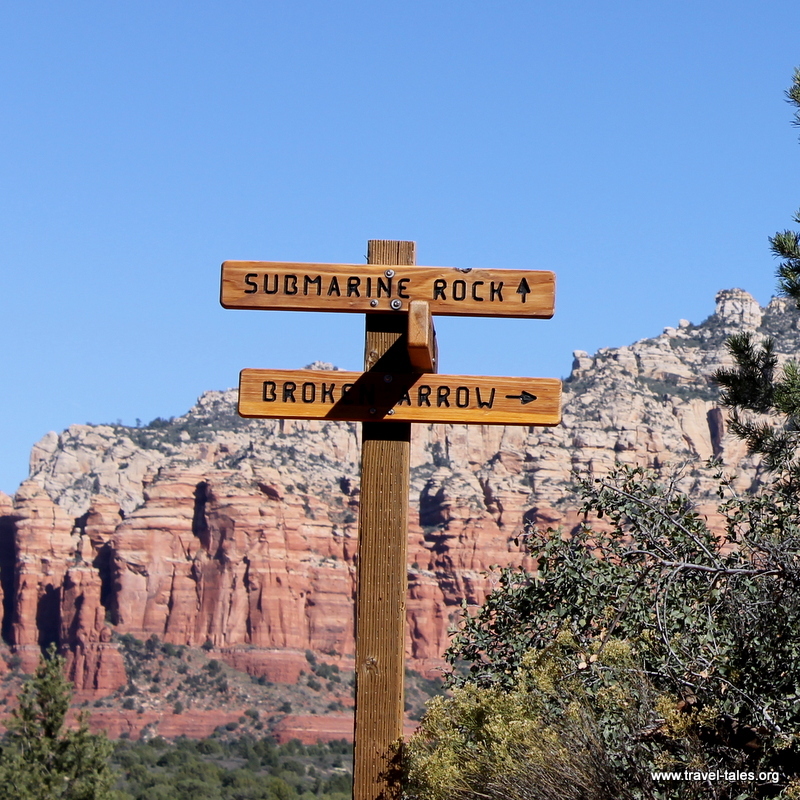 Of course I didn’t just hang around in parking lots in Sedona, I also hiked around the sandstone. I used Airbnb to find a place to stay where I was also able to get advice on good hikes to take. All hikes in the area are well marked, with signposts and cairns along the way. My hike to Submarine Rock and back took me through varied landscapes, under trees, over stone plateaux and this mixture where a tree was apparently growing out of the stone. There is also a well known sinkhole, Devil’s Kitchen on this trail. It is roped off to prevent people falling into it which also makes it difficult to take good pictures. It is 840ft deep in total and passes through a number of different rock strata. The views along the way and from the top of Submarine Rock were breathtaking. As is so often the case with landscapes, the pictures don’t quite reflect the vastness.